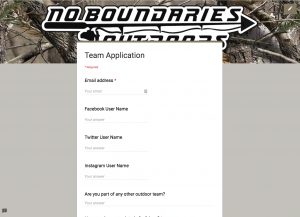 Want to be part of the No Boundaries Outdoors Team? Fill out the application online by clicking it below! !